Celebrate the diversity of Vermont Agriculture at the 8th Annual Consumer Night at the Vermont Farm Show! 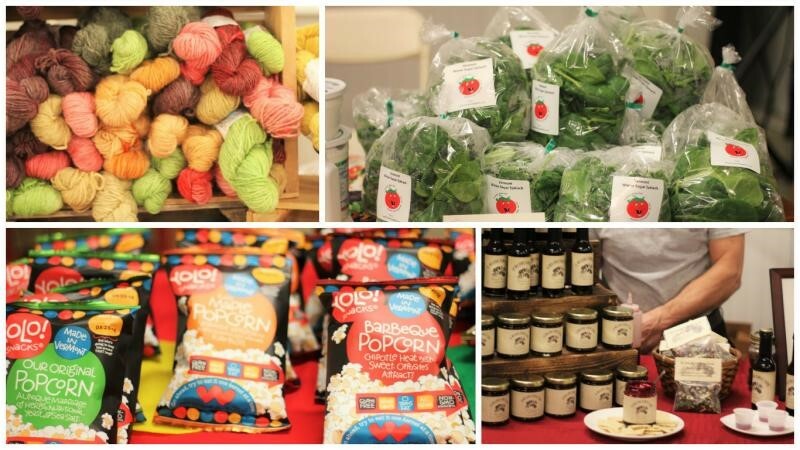 Open on the second night of the Farm Show, local food, beverages, and crafts will take center stage in the Blue Ribbon Pavilion where attendees can learn about, sample, and purchase a broad range of some of Vermont’s best agricultural products. Admission and parking for Consumer Night are FREE, and new this year, attendees can also enter to win a prize by visiting special vendors throughout the entire Farm Show Expo for a chance at the grand prize of 1 year of Cabot Cheese! Don’t miss this opportunity to sample and learn about great Vermont products in person—and perhaps even win one of the Consumer Night raffle prizes! Make a purchase from any vendor at the Buy Local Market and receive a ticket to be entered into the raffle for other amazing local prizes from our partners at Ski Vermont, Shelburne Farms, Vermont Teddy Bear Co., and more!! The Winter Buy Local Market begins at 4:00pm and provides Vermont producers from all over the state the opportunity to engage with customers through local food sales, sampling, and conversation. At the market you’ll find over 50 farmers and producers of local cheese, meat, fruits and vegetables, milk, maple syrup, honey, jams, culinary oils, wine, beer, spirits, wool, jewelry, candles and other handmade crafts as well as pre-package and ready-to-eat prepared foods such braised goat meatballs and gluten-free spätzle—the best products Vermont has to offer all under one roof. #RootedInVermont, Skinny Pancake, and Salvation Farms have teamed up again to offer a ‘crêpe hour’ starting at 5PM! #RootedInVermont celebrates the many ways in which Vermonters acquire and enjoy local food—from growing or foraging, purchasing directly from a farmer or at the store, hunting or fishing, eating at schools, institutions or restaurants serving local food, finding food from a food shelf, or just by trading with friends and neighbors. Stop by and learn a little more about how you are #RootedInVermont and enjoy bite-sized tastes of the best Skinny Pancake has to offer! At 5:15pm, watch your State legislators battle to be Capital Cook-Off champions! Attendees are also encouraged to attend the fierce, Iron Chef style, cooking competition between the State Representatives, Senators, and the reigning champions, Agency of Agriculture staff who will face additional challenges to overcome to wow the judges. The Capital Cook-Off begins with the unveiling of the evening’s secret #RootedinVermont ingredients. Each team will have the opportunity to shop the Buy Local Market for any additional ingredients necessary to craft their perfect dish. The cooking challenge continues until 6:15pm when contestants must present their #RootedinVermont dishes for review by a panel of judges including area restaurant owners, chefs, and public officials. Consumer Night attendees will have an opportunity to sample the teams’ dishes and submit their favorite vote for the “public pick.” While the votes are being tallied, winners of the raffle prizes will be announced, followed by the judges announcing the 2019 Capital Cook-Off winners at 6:45pm!